A late start coupled with a closure of I45 placed a spanner in today's plan. The planned 5-hours at Huntsville wasn't going to happen. I contemplated riding loops around Memorial Park for about 3-seconds. No. 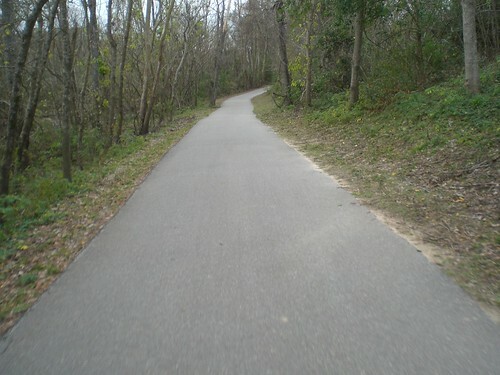 I ended up cobbeling together a route using mapmyride that had some dirt, a lot of distance, and not too much traffic. The ride got off to a rough start. First, I bent the spring clip on my rear brake pad when I swapped out wheels. Ugg. Fixed that. I departed and quickly discvoered that arm warmers weren't going to be enough. I returned and grabbed my heavier riding jacket and lead out again. Too much! I returned yet again and left with the mid-weight jacket. I'm 36-years old and still can't dress myself sometimes! 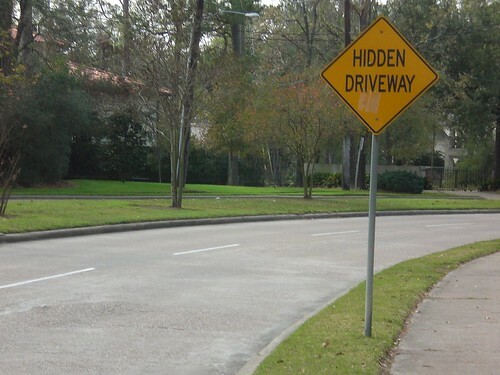 This is no way to keep a driveway a secret! and then turned northbound across the middle of the park. Let me tell you riding northbound today absolutely sucked. Winds were 18-knots and gusting 24+. Nothing else to do but grind it out. 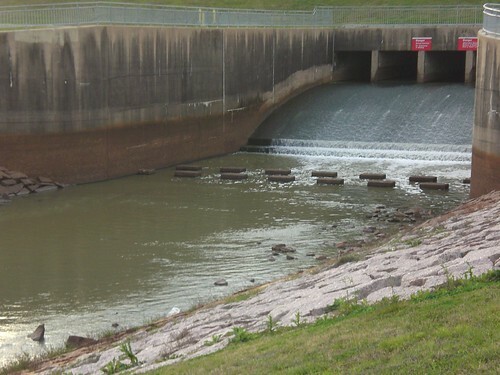 By the time I picked up the eastbound Addicks Reservoir levee at Barker Cypress and I-10 it was dark. My light is a "be seen" light not a "seeing" light. Luckily, it was a full moon and the clouds were clearing. It's neat how your primal instincts take over. 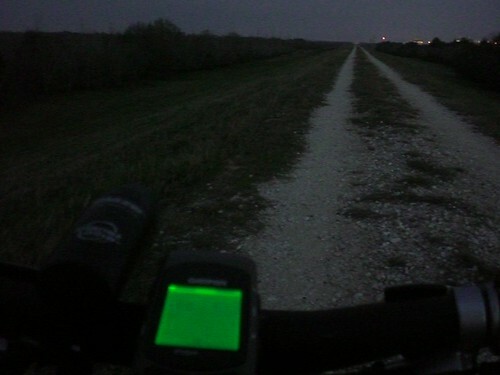 As the darkness closed in I kept reducing volume on the iPod. I wasn't eskeerd of anything, but the sound grew increasingly annoying. This has never happend to me in well-lit areas. Neat. No loup garous were spotted. 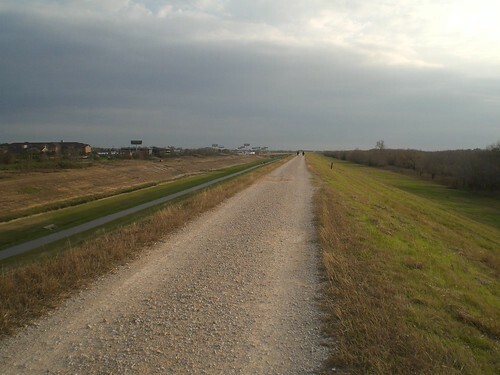 The levee turns to the north before intersecting Clay Road. That northbound run was a total grind. I couldn't see. I was cold. And the wind was beating me up. A full on threshold attack yielded 9-mph into the wind. Ugg. I was veeery happy to see Clay Road to keep the wind off my nose. 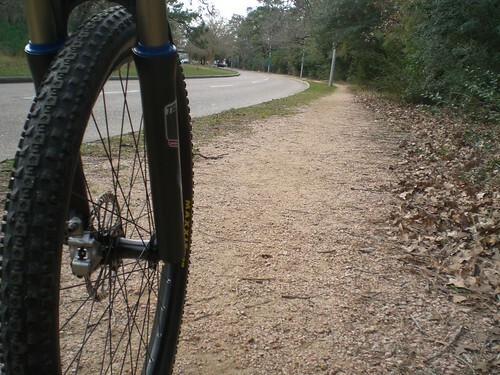 From there it was a simple ride back to White Oak Bayou trail and home. 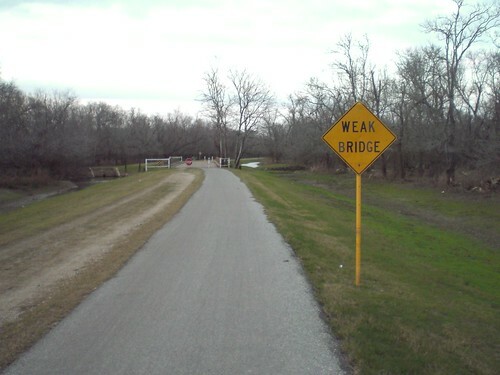 The wind was quartered just enough off my back to give a little boost to get me home.